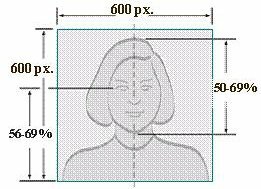 UNILORIN Post UTME / DE Form 2018/2019 and Registration Application Guide. If you are searching for ‘UNILORIN Post UTME Registration Admission form for 2018‘ This page is all you need. Explore. The management of University of Ilorin, UNILORIN wishes to notify all aspiring candidate that the post UTME / Direct entry admission screening form for 2018/2019 has been released. Interested applicant should follow the lead below for successful application. The minimum accepted cut off mark from each candidate is 180. 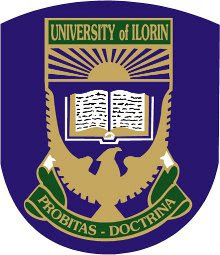 Applications are invited from suitably qualified candidates for admission into the University of Ilorin (UNILORIN) various undergraduate programmes for the 2018/2019 academic session. RECOMMENDED: UNILORIN Departmental Cut-Off Marks for 2018/2019 Post UTME. For further enquiries on UNILORIN Post UTME registration, contact : [email protected]. We cherish your opinion and we look forward to it. Hence, if you need us to feed you with more updated information at the right time about UNILORIN Admission 2018, kindly provide us your phone number and email Address in the comment box below. is unilorin post utme form out. will there be exam for D.E? I choose unilorin as second choice,I have awaiting result.please can I apply for the form.my nos is 08055850259.
please this is my number…08137603630. any information passed to this group should please be forwarded to me thanks. I scored 199 in jamb,am I good to go for biochemistry with a good 0’level of 5A’s,3B’s and 1c.I need an ans urgently.this my whatapps number 08164202655 keep me updated. As a remedial student,do I need to also obtain the screening form? And hope I won’t be denied admission? dis is my what’s app number pls nip me updated (09034968795)tanks……..
Did my WhatsApp number(08165522509).plz keep me updated. When will the form come out. Can candidate with IJMB result apply to uni-ilorin to study Accounts on 200 level?